When you think of food, you think of ingredients, restaurants, cooking methods, deliciousness. What you don’t often think is the sociocultural background behind it. But the podcast Racist Sandwich seeks to explore just that, asking you to think critically about race in the food industry. Racist Sandwich started in May 2016, but a December 14th NBC profile about the show has been generating buzz. According to the article, the creators, Soleil Ho and Zahir Janmohamed bonded over experiences in the food industry as people of color. Ho is the daughter of Vietnamese refugees, and she was working as a chef and food writer when she met Janmohamed. Janmohamed, a journalist and the son of Indian immigrants, was surprised to hear Ho’s account of gender and racial inequality in the food industry. Together the two decided to create a podcast exploring race, class, and gender in the food industry. "Every two weeks ,we serve up conversations and perspectives you don't hear anywhere else in the food media," the podcast's description on its Patreon account reads. "From being the first black winemaker in Oregon, to racism in food photography, to collecting voicemails about Filipino food, to unpacking a certain controversial pho video, we center voices of color in an overwhelmingly white industry." Racist Sandwich is available for free on their website, and the project is funded by donations to Patreon. So far, the team has produced 41 episodes. The show was a 2017 Saveur Blog Award finalist. 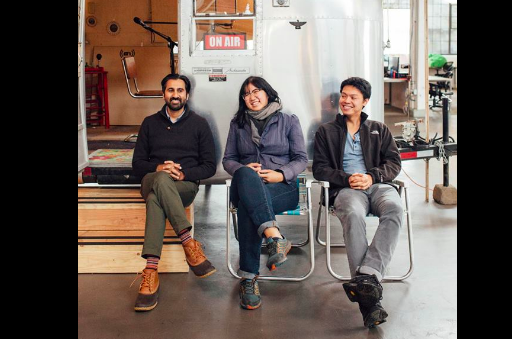 A 2016 profile of the podcast in Eater Portland explains that Ho and Janmohamed want the show to be “exploratory, not accusatory.” But at the same time, Ho said that the podcast seeks to discuss the lack of equality in the restaurant business and how it can lead to severe consequences like economic instability and imposter syndrome. The food industry has been interested in international and indigenous foods for a while, but it’s about time we started talking about prejudices and inequalities in the industry. We’re excited to see The Racist Sandwich engaging in this important conversation, and we can’t wait to listen.